Vintage Leaf Memories - Michael Langlois: The calm after the Maple Leaf storm…. The calm after the Maple Leaf storm…. To state the obvious, the Maple Leafs are a very different organization than they were a year ago. A new management team is entrenched now. A well-regarded head coach is here. The centerpiece acquisition of the earlier regime, Phil Kessel, has been traded. Most Leaf fans have been ready for real change, and the 2015-’16 team will not be the same old Leafs—far from it. Shanahan is the de facto General Manager, and that’s no shock. He has been the GM since the day he was hired. They may still hire another management person, but it may not be necessary at this point, as Shanahan obviously has faith in Hunter and Dubas. That said, what probably most impressed me about the recent draft is that the Leafs parlayed the 24th overall pick into (if I got this right) a number of other later picks in what was considered to be a strong draft. I’m not sure there is necessarily a lot to choose between the 24th choice and 34th or 44th. Sometimes first rounders don’t really make it. Later picks can become championship team cornerstones. So potentially, the Leafs did very well. This “trading back” approach has worked wonders for the NFL’s New England Patriots over the years (albeit always trading from a position of strength and already being a tremendous team). But philosophically, I like what the Leafs did. They have more opportunities to hit a home run. To me, Phil did almost exactly what then Leaf management expected of him from the time he was acquired in 2009. He played fast, scored goals in bunches and led the team offensively. He never became that all around player we all seemed to want, but I think it’s unfair to say he didn’t deliver in a lot of ways. He scored a lot of goals and became a better playmaker over his years in Toronto. He didn’t love the media demands but the biggest criticism we have is that he wasn’t committed to being a better defensive player. But he wasn’t alone in that regard. He may thrive in Pittsburgh. Heck, he may well score 40 goals. But even if the Leafs didn’t get any guaranteed game changers in return (it will be some time before we know if the players we did get will develop as hoped), it was a deal the Leafs had to make. The woes of the past half dozen years should by no means fall on Kessel. The organization never quite surrounded him with the players needed to provide support. They tried. He tried. But it didn’t fully work out. We all move on. Unless I’ve missed something, the Leafs have (not unexpectedly) been relatively quiet in early free agency. Defenseman Matt Hunwick may help. They have re-signed Panik and added Parenteau. Winnik has returned after being traded to the Penguins. Role players matter, and we’ll see if these moves help. The Leafs will no doubt re-sign Bernier at some point. My sense is there may be some additional moves to bring in character guys in the weeks ahead. Teams like the Ducks, Hawks, Kings, Blues and other annual contenders are filled with those types of players, to supplement the star “core”. Shanahan has been clear that leadership was an issue in the dressing room, and he wants to address that. Overall, my sense is most Leaf supporters are encouraged. Yes, we’ve been down the optimism road many times before over the past dozen years, but as the New York Mets faithful coined the phrase back in 1969 (or was it 1973) “Ya gotta believe”. The Leafs aren’t breaking new ground here. Other teams have built through the draft and had success. It’s not just good drafting, however. (We still don’t know if this regime will be great at drafting.) It’s about actually developing the players you do draft. It's also about making trades when the time is right and developing a team with chemistry that plays for one another. You need skill and speed but also toughness and discipline. The game evolves, yes, but the ingredients for success rarely change all that much. You need talent. You need a system that players buy into. But you need players who want to win awfully badly to make it all the way through to June. Winning the Stanley Cup may well be the toughest grind in professional sports- winning four playoff rounds when it would be much easier to be out on the golf course. Right now, it feels as though the organization is prepared to take more lumps in the days ahead to achieve a greater goal a few years from now. Is this a total re-build? Well, I guess it is, in broad terms. The intent was to change the leadership at all levels—in the management suite, behind the bench and in the dressing room. (We'll see if ownership can stay out of the way.) Good coaches do make a difference, so I do believe Babcock is poised to have an impact. Players like Kadri and van Riemsdyk have more to give after last season, and should deliver under Babcock. I would imagine Rielly will continue to progress. Will Gardiner take a leap under a new coach? Right now, though, when I look at the roster, it does not inspire a ton of confidence. If this group (with the anticipated additions) play with an edge most nights, like any team, they will be able to compete. For what it’s worth, I’m not as excited as some, but do believe there is a plan in place. That in itself certainly doesn’t guarantee long term success (every GM has a vision and a plan, along with lots of promising “prospects”), but as we have discussed here many times before, Leaf fans, while sounding impatient on any given game night during the season, are nothing if not incredibly patient. Until things are truly better in terms of on ice performance, I’ll just wait and see. I’ll be from Missouri for quite a while. All this said, summer is a nice time to think about past glories—like that last Cup in May of ’67. Those names will always stand out for me and for a lot of fans who were around then. How could we forget Horton and Stanley, Walton, Ronnie Ellis and the "Big M". Keon, of course. And we wouldn’t have won without guys like Pronovost, Hillman, Stemkowski, Conacher and Pappin. Sawchuk and Bower, too. We could use a Bob Pulford (photo upper right) now, for sure. What did those guys have? Talent, sure, but mostly character and “will”. They beat all odds and overcame adversity to win a championship. Of course, they had a recent history of success at the time. That breeds a certain kind of confidence that you can get it done. We’re a ways from that, but again, summer is a good time to dream of what could be. It sure is an interesting time to be a fan of this franchise. I like your thoughts on the recent times in Leafland, and I agree with them almost entirely. I guess where we differ is solely on the level of optimism going forward. I am far more pleased that the organization is on the path that I have long felt was the correct one. Drafting, and developing your own talent. The only question I really have is whether or not the group in charge right now is allowed to stay on this path. You mentioned the desire to acquire draft picks, because, you just really don't know who they are going to be in 3-5 years. So why not get as many kicks at the can as you are able to? To me, this is the most reasonable course of action for a team that in all honesty, has nothing to show for the last ten years of ineptitude. Everyone who reads your wonderful site, knows that I will not miss Phil Kessel. He sure does have a lot of talent, just not so much will, in my opinion. How can your franchise player be someone who can only commit to skating a few times every off season? I have a lot of trouble seeing how that kind of dedication is going to lead us to the Stanley Cup. We got picks and prospects for him, we can debate the level of quality, but you can't really know what they are going to turn out to be. I sure don't. I am still beyond thrilled that Mike Babcock is going to be the coach of this team for a good long time. There is no coach in the NHL that I have more respect for, none. In my opinion he is the very best coach in the NHL. The fact that he is willing to try and return this team to the glory of the Quinn years, and optimistically beyond, is wonderful. He demands accountability from everyone on his teams, no more excuses please. No more unavailable prima donnas after a tough stretch of games. That will be very refreshing. Players cash their checks, they need to be front and centre to answer the often ridiculous questions from some members of the media. He is in touch with his players, he demands that they behave in a certain way. He seems to get them, and his players never wonder what the message is. Remember the 24/7 series and just how odd the things Randy Carlyle would say to the team before and after a game? Those strange days are gone. I do still like the team approach to management that the organization has taken. I feel the job of running a hockey club has grown too large since the days of one decision maker. I think that the more information they can gather on future players, the better the decision can become. I'm ok with the team being bad for the near future, that really hasn't changed at all since the last couple of seasons. At least a lot of the wishful thinking optimism from some corners is gone. There is a lot of that in Leafworld, I suppose that is true of any fan base. The cupboard has been bare here for quite some time, replenishing it will be a nice change of pace. Players who hate to lose have been is short supply in Toronto. I know we are all hoping that some of the players the Leafs have, and are going to acquire have more of the attributes of some of the winners that you write so eloquently about from time to time. I am always a little happier when I see that you have graciously shared your thoughts on the team. I think you're right, Jim- there is no quick fix here. Patience will be key and that applies to the organization and the fan base. Babcock may help the current group over-achieve in the short term, while the organization continues to find the needed pieces for the future. Until then, fans can enjoy any signs of genuine improvement while assessing who the players are that might be keepers when the team is ready to contend. Thanks Jim. There wasn't a whole bunch of neutral opinions on that Kessel trade Michael, that's for sure, and it's hard to imagine that a player with such elite offensive output could be so vilified, in the eyes of fans and media alike. Having said that, I think it's a case of "too much water under the bridge", where regardless of Phil's valuable contributions, he's been so demonized as being "THE problem" in Toronto, that management felt they needed to deal him. He had his warts for sure, but implying that he's a Clarkson-level disaster is just silly. What I saw in the trade that transpired though, seemed impulsive on the Leafs end, where some artificially imposed deadline made Shanny and the rest feel like they had to ship Kessel out ASAP, as opposed to showing some patience, and potentially even letting the season start. Many of the analysts commented that the Leafs had zero leverage, because other teams knew that they "had" to trade Phil, hence the return. My observation about that approach is in the form of a question, that reflects on the lack of experience of the new Leafs brass: Why enter into a business negotiation, where you have absolutely no leverage? I think the Leafs could have easily replicated that return at any point next season, and maybe hit a home run at trade deadline 2016, with a Cup contender that has long term injury issues, or even a team with readily available Cap space that wants Phil for a Cup run. In other words, people tend to overpay when the leverage equation gets switched around in the Leafs favour. It just seemed like a green move, to me. There's lots of talk about Phil lacking a lot of the intangibles, with "grit and work ethic" topping the list of the majority of Kessel's detractors. Signing players based on grit is a tricky thing, as sometimes you hit a home run and get Darcy Tucker, and other times David Clarkson, Mike Komisarek and Colby Armstrong get to wear the blue and white, for bucket loads of cash. Not trying to sound like a know-it-all here, as I've bashed Phil plenty, and I thought it was time for him to move on, but the moving parts of this trade disappointed me. As far as the draft went, like you Michael, I don't watch enough CHL hockey to offer an informed opinion. I do love those crafty moves to maximize the number of picks though, as beyond the top 5 or so players, it's just a crap shoot in terms of striking gold, so pile those bodies into the organization, and up our odds of success. You make a very fair point about the timing of the Kessel trade, Russ. It does seem as though they may have been able to net more during the season. I guess the organization really wanted to get this decision behind them and move on. And you're right about the grit factor. It's important, absolutely, but it's true that often teams try to make that kind of signing or acquisition and for whatever reason, it just doesn't work out. We're on the same page regarding trading the 24th pick. I like that approach. Good to hear from you, Russ. The 'pain' was 'prophesied' so I'm accepting of the timing and return of the Kessel deal, though, I don't like the salary retention for 7 years (that could have yielded draft picks for 7 separate years if used on one year UFA's at the trade deadline). The only way we won't 'feel' it as much is if we don't use the other retentions on any long term deals. We have one left and one more available next year when Gunnar comes off the books, so I hope we can continue to accrue draft picks trading off expiring contracts to cap-strapped teams going forward. I'm looking forward to see how well we protect and develop our 'stable' of young players and hope that all the chatter and development hires are able to implement and strongly impact (patient) development strategies that we've been awaiting for some time. It would appear that Bracco ( who we got with our original 2nd rounder that came through the twice traded 2nd first round pick) was actually on the list of possible picks at 24, being amongst a larger grouping that we were wise to hope for while adding another 2nd and a 3rd on top of a player we could just as easily have 'gone for' at 24. So, given his skill level, we can keep hoping he'll gain some size (which may become a common buzz-phrase, given our focus on skill at any size). All in all, we do seem to have a clearer idea of where we're going and I hope the interim 'pain' is more bearable than some of the years that have recently burned a sense of futility into our psyches. Hi InTimeFor62- my guess is many Leaf supporters will have modest expectations over the next while and will support a patient rebuild. It would be good if the Leafs have indeed found some long term answers through the most recent drafts. An unrelated comment Michael, but I just noticed that Wally Stanowski passed away recently. I'm way too young to have enjoyed Wally's playing days, but I attended a charity dinner with my Dad that Wally was speaking at, about 25 years ago. He was fun and well spoken, but very direct about the lack of compensation that the players of his era were rewarded with. He was wearing one of those classic "powder blue" suits that he may have owned for ages, and it really tugged at the heart strings, hearing about the financial peril so many NHL greats of past eras endure. It was a tear jerker, and I wish the NHLPA would take up this cause, and share some of today's wealth. Sorry for drifting off topic here. I have the very same sentiment about the NFL Players Association, Russ. Both the NHLPA and the NFLPA (and the player organizations in other sports) could do so much more to support those who played before them and helped make those sports what they have become. There are many older former athletes in need and today's players (and owners) could do a great deal more to assist them. No question this is the long awaited total rebuild. I guess I am happy with that direction as it does seem like they are really actually totally committed to a rebuild this time. Everything else in the past 48 years has failed so it it is about time they go the slower but proven get high draft picks and develop player rebuild route that successful teams like the Hawks, Pens, Kings and Bolts have used. Right up to the Kessel trade I was mostly hoping the Leafs would keep Kessel and maybe resign Franson now that they have the Clarkson cap space and then see what Babcock can do. They do have some nice prospects like Nylander, Percy and Brown to name a few and Marner looks like another Patrick Kane. Now with Kessel gone signing Franson or any higher level UFA's does not fit in with the current rebuild philosophy which seems to be have several "painful" seasons and be rewarded with high draft picks. I liked the Leaf draft and think the Leafs can't miss with Marner. I have watched a few of the videos on youtube and he does have elite level skill. There is one video of him at 4 years old saying Sundin is his favourite player and the Toronto Maple Leafs are his favourite team. It really is nice that his dream to play for the Leafs has come true and you know he will want to make the leafs a winner. Some people think the Leafs should have drafted Hanifin but obviouly Hunter thinks Marner is the better pick. I listened to a Hunter interview last week and he said he watched over 200 junior games last season. You get the feeling Hunter knows what he is doing and a few of his other picks might be pretty decent as well and the Leafs should be pretty well stocked with talent in a few years. I also heard quite a few hockey analysts saying they were surprised the Leafs didn't get more for Kessel and thought they should have received Pouliot instead of Kapenen. Jamie McLennan on Leaf Lunch said a Europens scout friend of his texted him that Kapenen was a skilled player and the Leafs would be really happy with him. Kapenen is still only 18 and he turns 19 July 23. He joined the Pens AHL farm team late in the season and had 3G 2A in 7 AHL playoff games which is pretty good for an 18 year old. The Leafs have also added quite a few prospects that according to Hockey's Future all have a chance of making it like Hyman, Bailey, Soshnikov and Leipsic. It does seem like the Leafs do have a plan and it will be interesting watching the Leafs progress over the next few years. It already seems to me like they have a lot of prospects so there will be competition for jobs which is a good thing. I just hope the next few years are not too painful. The Leafs have youngsters in the system, Alton, without question. It's now about ensuring they aren't rushed unnecessarily, and develop into what they are capable of at the NHL level. Like you, the idea of drafting kids who really want to play in Toronto is appealing to me. We're a ways off from knowing if this approach will work out, but fans can at least enjoy tracking how this all develops. I'm amazed on how the different regimes, Burke/Ron Wilson, Nonis/Randy Carlisle and now Shanahan/Babcock emphasize on what constitutes quality in players. I would have liked to be a fly on the wall when this latest regime had a debate about Kessel's future with the Leafs. My gut feeling is that the new coach didn't rate the high scoring winger much higher than Shanahan. Because the new regime is so keen on developing players, I'm feeling better about how things in Leafland are being run now. But the again, I was optimistic with all the recent regimes. Perhaps I'm just a hopeless optimist? I think, deep down, most Leafers are optimists at heart, drgreg. If not, people wouldn't still be following with such passion (including in the middle of the summer when the team hasn't won a playoff round in over a decade). You raise a good point about the earlier regimes- yes, there was optimism before under Burke/Nonis that the Leafs were stockpiling the prospect pipeline. But few of that pipeline really emerged. We'll see if this time is different. I'm waiting for the dust to settle, Michael. I just read an excellent article " Phil in the Pits" by Quinn (Not Norm Ullman) MacKeen on MLHS. I have never seen anyone so precisely nail exactly what I've been thinking for years the way Quinn has. I read that too Colleen... Quinn/Not Norm did a masterful job of identifying significant problems with 'the narrative' that has developed in Leafland over my lifetime. It was a compelling read, full of Vintage(type) Leaf Memories that I'm sure Michael would appreciate, too. Well worth the time, Colleen - I'm glad you referenced it here (I thought everyone here would enjoy his original style and musings)! Colleen - that really was a good article, thanks for pointing it out. Pretty much my feelings exactly as well and now I'm hoping history does't repeat itself but I am worried that it will. That was a fantastic article on Phil that you referenced, Colleen, and also on the disparity in what us fans look for with our favourite players in general. I remember push back against Gretzky when he joined the Oilers, from a segment of fans and media alike that just didn't "go for" that particular type of player in general. Not comparing Kessel to the Great One, but just emphasizing how ridiculously close minded fans and media can sometimes be. 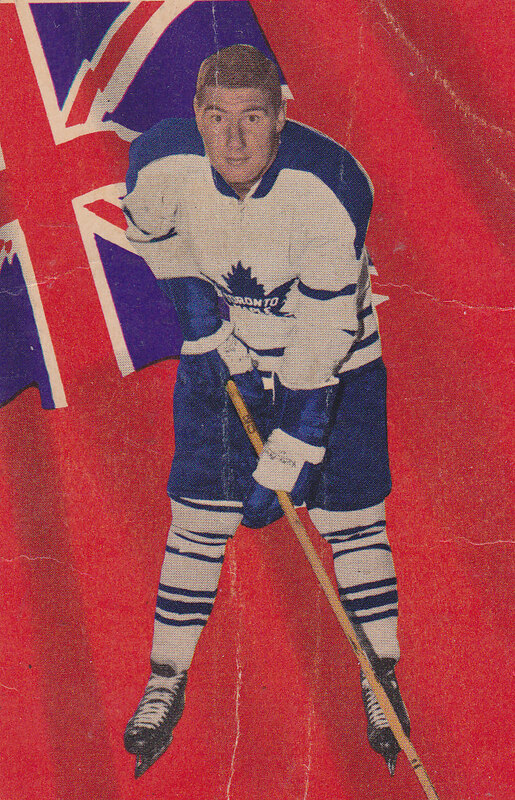 Phil wasn't 'perfect' (whatever that actually means, when pertaining to the subjective nature of fandom), but he was as good as pretty much anyone in today's game at those speedy rushes that as often as not, ended up with the Leafs posting a goal on the scoreboard. Perception seems to be getting more and more "black and white", where many players, coaches and management are considered ALL bad or ALL good, regardless of mitigating circumstances. Just imagine Phil's center being Jonathon Toews instead of Tyler Bozak for 5 full years, and maybe Kessel's warts aren't quite so obvious to Leafs fans and detractors. I use Carlyle as a very unpopular example of the same thing. Do I think Randy had to go? For sure, but at the same time, people would claim that coaching has no significance on the outcome of a hockey game, when referring to Carlyle's Cup win in Anaheim. In the next sentence, claims would be made that he had absolutely everything to do with the Leafs sour years, during his tenure. I don't understand what's wrong with having a more balanced view, and admitting that while Randy pushed a great roster over the top with the Ducks, he failed to replicate any of that success in Toronto. I guess I don't mind a bit of "grey area" in my analysis, which applies to Kessel as well. I hope Shanny and Babcock are able to shield Nylander, Marner, and some of the other young talent we're building, from the endless barbs that can knock a young athlete down, and kill his confidence. I also hope that Gardiner and Kadri get a fresh environment to hone their skills in. I'm not talking about treating them with kid gloves, but more implying that criticism from management needs to be internalized, and not used as cannon fodder for Steve Simmons, or whoever else it trying to fill column space with faux controversy. Thanks---anything with Frank Mahovlich in it gets my vote. I can't believe my Leafy family had to watch him on the Habs. Not Norm has been posting on PPP for quite some time. He has a wonderful, honest style that changes depending on the piece. Do you know I saw a tweet today from prospect camp---"Nylander, in true Kessel mode, slow to get to bench". (McGran.) They're starting early. Nylander was my pick for the next main target and here we go. Babcock stated that Toronto has to be a safer place to play. I've not seen that yet, but hoping. Hope you are all enjoying a safe and happy summer---man it's hot and sticky here. Wouldn't it be funny if people tweeted pictures of media members doing the very things they criticize players for doing... McGran arriving late at a press conference... Simmons devouring a choice hot dog... or even better, dropping them from 'our' readership (or stop following them on twitter) - might even start to make it safe for players to have off moments if those scrutinizing them knew better how it felt. A while back, I advocated NOT consuming any of the product of the employers of some of these reporters we all know and "love". Now, I think I am going to elevate my displeasure to the next level - I am going to let their employers know that I won't be consuming any of their products while these reporters are spewing out their crap. I know my single voice won't make much, if any, difference, but at least I will feel I have done something. So great to read so much interesting opinion. I only have two points. My sense is that had Kessel even a glimmer of Doug Gilmour in him, we may had more hope and kind words for him. But he didn't and so neither did we. Shanahan is not long off being a player himself, and I suspect he knows dressing room rot when he smells it. I would have traded Phil for a bag of pucks. We can afford it and this move was about leadership and team culture. Second thought: I like the line up assembled. Not much pure talent but some good guys who will never let us down win or loose. In a word they got a some "grit." Not the grit implied by MacKeen in his good but essentially flawed article.....Yea, goon fans abound, and like Tea Party Republicans, they tend to dominate in shouting matches. But we know "grit" is not defined by knuckles, as much as it by the heart, by not giving up, by doing anything to win. Perhaps Kessel never did give up and we just couldn't see it because he was so gifted...... Na......If was a loafer and had he tried harder and worked out more he would not have just a "heck of a hockey player" but an example, even a leader. As it is, he is not even a star, just a heck of a good hockey player. I think he will do well in Pits and good on him, he's a heck of a hockey player. The only thing I would have done differently is traded him to the West. Now the boys in Blue and Withe now have no excuse, no where to hide, no one to blame it on, and I, for one, am looking forward to what i hope is their relentlessness effort to prove us wrong and to make us proud, win or loose. And if they don't, I will, as MacKeen suggest, be among the first to shout them out of town! Its going to be a fun season! I finally watched 'Moneyball" - a Hollywood film that relates the story of a baseball GM who was first to introduce 'analytics' into his game plan. The first part of the movie reads like the Leafs 2015 summer - the young geek is advising the GM against paying for in-their-prime or over-the-hump stars and instead focusing on acquiring cheap, oddball players who are each specialists at a certain skill but overall not great and complete players. It's all about getting bang for the buck so to say, about points per dollar ratio etc. There are a few more 'rules' that the adherents of this philosophy follow and one of them was illustrated in this year's draft - trading down for more picks - betting, that is on odds that out of a greater pool of prospects we're more likely to find good players than if we fall in love with one 'star' player who may become great or a bust. Another one of the maxims statistically inclined folks adhere to is to value cap space which gives them the ability to take on contracts in exchange for picks. Essentially, the game is quantity vs. quality. The Kessel trade is a perfect example of 'moneyball' approach - we traded a very expensive star player for a bunch of cap space with which to sign a number of not-so-great players all of whom together are supposed to replace his production - if Parenteau, Winnik, Beck and Matthias each score 25 points next season and are not minus players that will be a success in the logbooks of the statisticians. Consider, further, that after they're flipped at the deadline, they will yield a number of picks, any of whom may turn out to be a future Kessel for 7 years at an entry-level/RFA money and you are laughing. Next year you go out and do the same thing again. Also, Bozak, Lupul and Phaneuf will be gone as soon as possible - no 'assets' will go to waste. Sounds great right? It sounds great on paper and it may well work. The downside is that there will be no star players in Toronto and that there will be no 'character' guys in the dressing room, and no consistency to the team (because of constant turnaround), there will be no guys with 'intangibles', no enforcers and no worries about players dropping off or getting hurt (as they will all be cheap and replaceable). Don't buy jerseys because noone is here to stay. As soon as they become pricey they will be dealt. It is clear that this is the way Shannahan has decided to walk. It is also pretty clear that Mike Babcock is on board. Whether the two are willing to abandon their traditional 'hockey sense' completely or just partially remains to be seen and will determine whether or not the Leafs will be getting close to that most coveted of prizes in the near future. Will they go after Stamkos in a year from now and/or Tavares the year after? Dubas and Hunter will be against it. I think we'll need one or both to win. I will never be happy with the Kessel trade. Taking back contracts is smart, retaining salary for 7 years is something that may bite them later on. Then we'll all blame Kessel for it. I don't have a problem moving any player but this was not a trade that showed the type of patience and smart asset management we've been promised. It also shows inexperience from the group as a whole and may explain the next move--Lamoriello. The news this morning was a shocker. I did not see this coming. I imagine having Lou as GM is more about contacts and priming Dubas or Hunter for the job in a few tears. (I meant YEARS--unfortunate, and likely prophetic, Freudian spelling error.) There are a lot of hires involving "connections", aren't there? Lou drafted Shanahan. The Wall-eye have disappeared for some reason, or gotten wise, so I'm enjoying what little the CBC has shown of the Pan am games. Hope you're all enjoying a relaxing summer. My summer was fine and I am looking forward to some hockey. I hope you had a nice summer too! I was in the middle of my comment to the "Chicago" article when I was interrupted and now I lost the plot a bit and I turn to this one first. In the past 18 month Shanahan made a lot of great moves for the organization. Not only in upper management but in many areas that are often overlooked but will contribute to future succes. Sports science, Player development , analytics department are all top notch now. And significant changes were made in the scouting department. Bringing in Babcock and Lou changes the outloock significantly! Dubas, Hunter, Pridham and Shanny will learn every trick in the book, for me it is the inside that Lou will provide and the big influence he will have in teaching the other guys. And his contacts and standing will open some doors. For my taste there are to much from the same old Leafs left, but perhaps they did it on purpose. I like the picks and I like that you can see a direction where they want to go, they took some "risks" but I like it very much. But lets turn to the numbers: on average 1.6 Players per draft and Team make it to the NHL. There is a Long way to go folks! And I agree with you making 3 out of one pick was genius and you are right the deeper you go the less import is the actual position you pick in. On the surface I didn't like the deal but it was the only chance they got and they had to do it. But there is a lot of players I wanted to trade before Kessel. He clearly wanted to stay and it was not his fault the Leafs were so bad. When Kessel didn't score or at least played well the Leafs lost. Success for the Leafs in the past six years however small went through number 81. And I am really concerned what the near future will bring. Yes, I was very supportive of the trade to turn one pick into three. They made some interesting selections this summer and hopefully a few of them will make the Leafs some day. Regarding Kessel, my guess is the organization simply wanted to change things up. They know Kessel is very talented, but they wanted to try something else and start new. All the free agency moves were great. Short term low risk moves with a potential for some players to find a new home and personal success. Arcobello, Matthias, Parenteau are some more or less under the Radar players with some good potential, perhaps the Leafs get some picks at the deadline but perhaps some of these players will stick around. Babcock will make a diffrence for sure and the question I find most intriguing is how some players will respond. If you ask me I would ship out every player that is around since the 11/12 eighteen wheeler season, that will be our complete leadership group and they crashed it so many times, it is enough. These players are Kessel (already gone), Bozak, Kadri, Lupul, Gardiner and Phaneuf and I would include JVR in that group. These are the players Shanny referred to, they didn't get it done it it was by far not only Kessel who played bad. I don't know if Bozak and JVR can do it without being carried by Phil. Whenever handed more responsibility Kadri failed and Iam absolutely not sure if this will change. Some names are always overlooked but Peter Holland can really benefit under Babcock and when used properly may take a big leap forward. The biggest disapointment this summer was Gardiners performance at the worlds. He was the second oldest D-man and one of only three with more than 200 NHL games experience. He never eclipsed the ten minute mark (Granberg played around 15 minutes for Sweden), he was a healthy scratch two times and he was out performed by college kids who never played a professional game before. As bad were some Performances on the Radio where one guy complained that Gardiner gets no playing time (because there was a reason Bryan!) and another guy called him a leader on the Leafs D. Well, if he can't be the leader on a Team where he is the oldest Player with the most experience... (I am shaking my had; I don't know what to say anymore). No this roster does not inspire a lot of confidence and I hope some players can up their trade value and Lou can find somebody to take one or the other. Can you explain to me the "I'll be from Missouri" thing, you said that before but I don't know what it means. Gardiner is hard to project at this point. Talented, but as I have written here many times, he has seemingly lacked some of the traits I like to see in a defender. He's not hard enough on the puck, is not good around his own net or along the boards and still tries to make fancy plays. I'm not sure we can really talk about his "potential" any more. The Missouri reference is familiar more to Americans/Canadians: it means, basically, that a person is skeptical about something and they will have to see it happen before they believe it. And this being hard on the puck, that goes for the whole group I mentioned exept for Phaneuf. Bozak, JVR, Lupul and Kadri they are all not hard on pucks. They skate by very often or do not really engage if they don't. So I think more changes are in order because you can't have a top group that is not willing to get their noses dirty and Kessel belonged in that group and the trade was okay. They had no other chance they couldn't keep him and with his list the Pens might have been the only team seriously intrested. Polak said this in an interview that there is a whole group here that is not willing to do what is necessary and giguere made the pond hockey remark in an interview. But Babcock will sort this out and Lou will act quick if necessary.